The Liquefaction Hazard Map shows areas susceptible to liquefaction categorized as follows: High, Moderate, and, Low Susceptibility. The map was based on the geology, presence of active faults, historical accounts of liquefaction, geomorphology and hydrology of the area and preliminary microtremor survey data utilized to validate type of underlying materials. 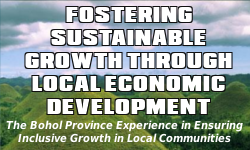 This map is semi-detailed and may be used for land use, emergency response and mitigation planning, and should not be used for site specific evaluation. 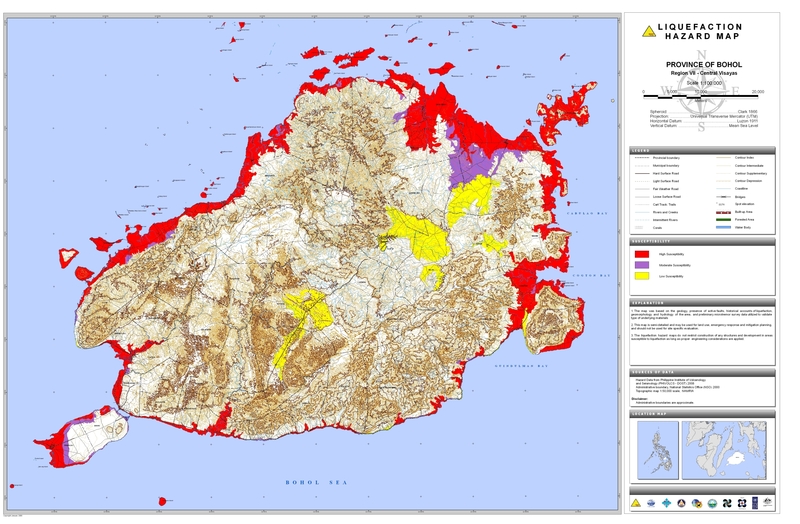 The liquefaction hazard map do not restrict construction of any structures and development in areas susceptible to liquefaction as long as proper engineering considerations are applied. The hazard data is acquired from Philippine Institute of Volcanology and Seismology (PhIVolcS) 2008. Administrative boundary is from National Statistics Office (NSO), 2000. Topographic map 1:50,000 scale is from the National Mapping and Resource Information Authority (NAMRIA). 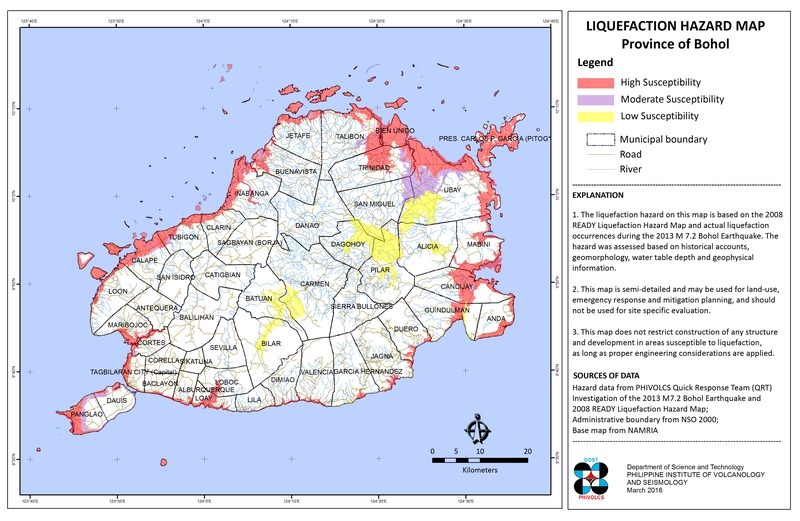 This Liquefaction Hazard Map is acquired from the Hazards Mapping and Assessment for Effective Community-Based Disaster Risk Management (READY) Project through PhIVolcS.